Lan Vu, Gita Alaghband, " A Self-Adaptive Method for Frequent Pattern Mining using a CPU-GPU Hybrid Model " in in the Proceedings of the 2015 High Performance Computing Symposium, ACM, April 2015. Lan Vu, Gita Alaghband, " A Load Balancing Parallel Method for Frequent Pattern Mining on Multi-core Cluster " in in the Proceedings of the 2015 High Performance Computing Symposium, ACM, April 2015. Lan Vu, " High Performance Methods for Frequent Pattern Mining " in PhD Thesis Dissertation, University of Colorado at Denver, ProQuest, , Dec. 2014. Lan Vu, Gita Alaghband, " Novel Parallel Method for Association Rule Mining on Multi-core Shared Memory Systems " in Journal of Parallel Computing, July 2014. 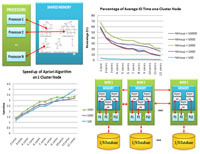 Lan Vu, Gita Alaghband, " Efficient Algorithms for Mining Frequent Patterns from Sparse and Dense Databases," in Journal of Intelligent Systems, Aug 2014. Lan Vu, Hari Sivarman, Rishi Bidarkar, " GPU Virtualization for High Performance General Purpose Computing on the ESX Hypervisor," the Proceedings of the 2014 High Performance Computing Symposium, Tampa, FL, April 2014. Lan Vu, Gita Alaghband, " An Efficient Approach for Mining Association Rules from Sparse and Dense Databases," in the Proceedings of the 2014 International Conference on Information and Knowledge Management, IEEE, Jan 2014. Lan Vu, Gita Alaghband, " Novel Parallel Method for Mining Frequent Patterns on Multi-core Shared Memory Systems," in the Proceedings of the 2nd International Workshop on Data-Intensive Scalable Computing Systems, ACM, pp. 49-54, Nov 2013. Lan Vu, Gita Alaghband, " Mining Frequent Patterns Based on Data Characteristics," in the Proceedings of the 2012 International Conference on Information and Knowledge Engineering, pp. 369-375, July 2012. Lan Vu, Gita Alaghband, " High Performance Frequent Pattern Mining on Multi-core Cluster," in the Proceedings of the 2012 Int. Conference on Collaboration Technologies and Systems, IEEE, pp. 630 - 633, May 2012. Lan Vu, Gita Alaghband, " A Fast Algorithm Combining FP-Tree and TID-list for Frequent Pattern Mining," in the Proceedings of the 2011 Int. Conf. on Information and Knowledge Engineering, pp. 472-477, July 2011. Lan Vu, Thanh Le, "Offline Handwriting Digit Recognition for Mark List Scanning System," Technical Report Book, UEH, 2006. Thanh Le, Lan Vu, Viet Nguyen, "Research and Implementation of Mark List Scanning System," Technical Report Book, UEH, 2006. Huong Vu, Thanh Le, Lan Vu, "Objective Testing System", Technical Report Book, MOET, 2004. Lan Vu, Gita Alaghband, "Mining Frequent Patterns on Multi-core Shared Memory Systems," in the Proceeding of the 2013 GHC, Minneapolis, MN, 2013. Lan Vu, Hari Sivarman, Rishi Bidarkar, "vmCUDA for High Performance GPGPU on ESX," in VMware, Palo Alto, CA 2013. Lan Vu, Gita Alaghband, "High Performance Data Mining Techniques for Gene Function Prediction," in the Proceeding of the 2012 Graduate Cohort Workshop, Bellevue, WA, 2012. Lan Vu, Gita Alaghband, "Novel Methods for Mining Frequent Patterns and their Applications," in the Proceeding of the 15th Research And Creative Activities Symposium,, UCD, Denver, CO, 2012. Lan Vu, Gita Alaghband, "High Performance Human Gene Prediction Using Gene Ontology,"in the Proceeding of the 13th Research And Creative Activities Symposium,UCD, Denver, CO, 2010. 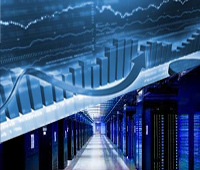 Virtualization technologies are increasingly applied to HPC to reduce administration costs and improve system utilization. However, virtualizing the GPU to support general purpose computing presents many challenges because of the complexity of this device. 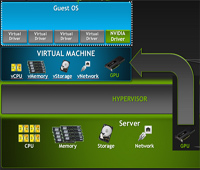 On VMware's ESX hypervisor, DirectPath I/O can provide virtual machines (VMs) high performance access to physical GPUs. However, this technology does not allow multiplexing for sharing GPUs among VMs and is not compatible with vMotion, VMware's technology for transparently migrating VMs among hosts inside clusters. In this research, we address these issues by implementing a solution that uses "remote API execution" and takes advantage of DirectPath I/O to enable general purpose GPU on ESX. This solution, named vmCUDA, allows CUDA applications running concurrently in multiple VMs on ESX to share GPU(s). Our solution requires neither recompilation nor even editing of the source code of CUDA applications. In this project, I implemented the neural network training module for handwriting character recognition application. 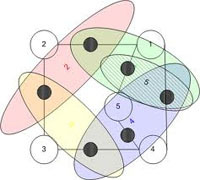 Many models of artificial neural network (single layer, hybrid networks, multi-layer) were tested to choose the best one that works well on NIST database (a standard database for character recognition problem). This project then was integrated as a module in recognition system of another research project (see Research Project). The implementation uses Visual C++ and NIST database for training and testing. We conducted a research to develop the computer-based testing software that is feasible for deploying the computer-based midterm and final exams in many universities in Vietnam. 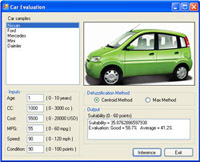 Our software system enables most test forms like paper-based test, computer-based test and internet-based test. Compared to the existing testing software, our software system is more cost-effective, more secure, faster and transparently scaling on any types of computer labs. Our system allows utilizing all available computer labs and avoids equipping the expensive labs. 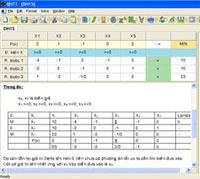 The project software system consists of six software modules: uEditor, uTest, uServer, uScanner, uMarkScanner and uStatistics. 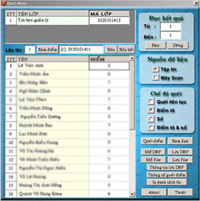 It is currently used at many universities and higher education institutes in Vietnam and one million downloads of free version at the website of Vietnam Ministry of Education and Training from 2004 to 2006. This project aimed to solve the difficulties of applying and integrating Handwriting Digit Recognition technology into our Mark List Scanning System (MLSS), the software that automatically reads grade list in designed sheets and stores them into the student information system of University of Economics HCMC. MLSS can save hundred hours of manually entering data. The integration of Handwriting Digit Recognition helps to improve the accuracy of processing results and enable the automatic error detection. I built up a recognition engine using Artificial Neural Network and trained this engine using our self-generated dataset and the NIST's database. 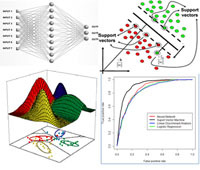 The research applied the artificial intelligence and image processing techniques such as recognition artificial neural network, Huffman transform, denoising, skeletoning, etc. The recognition module can be intergrated to any other types of handwriting character regconition applications. Our project researched an effective solution for building the Mark List Scanning System used at University of Economics HCMC. This software system can automatically reading thousands of grade lists and stores them into the student information system which is a time and cost effective solution to replace the manually data entry task. Conducting this project, we had to solve the challenges of using regular scanners and different-quality grade sheets created by regular printers. The use of low cost regular scanners and printers usually results in the poor quality of input data which decrease the accuracy of information retrieved from the scanned data. Hence, we studied innovative methods of image processing and measurements that produce high accuracy information from the poor quality of input data . Applying our solution can save up to 90% of cost in investing expensive specialized scanning machines. 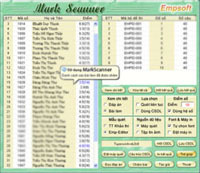 The software module can be customized for any kind of sheet reading applications. In this project, I implemented an software which works as learning support tool for students who are studying linear programming. Linear programming is a system of methodology which is used to find optimal solutions of the problems with many variables and constraints. Using this method helps to solve many complicated problems in the fields like manufacturing or business. Users will specify a set of input elements and their constraints and this software will provides step-by-step solutions with detail explanation of different linear programming problems. The implementation was used Visual C++. Fashion Consulting System is a rule-based expert system that recommends customers of an online store the most suitable products to purchase. The recommendation of products is based on many elements likes the event, customer's favourite, the suitability of fashion trend, style, etc. The system works by reasoning over the sale databases, product database, expert knowledge in fashion domain and information provided by customer. The implementation was used Visual C#, ASP.NET and MS Access. 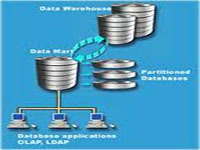 This is a research on OLAP and Data Warehouse. 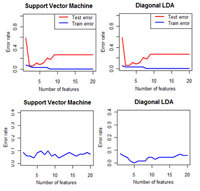 In a brief view, OLAP is an very efficient tools used in decision support systems. It is built on top of Data Warehouse systems to create multidimensional query machine that provides users the multi dimension querying ability with super fast response time. Managers or researchers can use OLAP to support their decisions. In this project, I implemented demo OLAP tools using MS SQL Server and MS Access. For this project, I researched and implemented a network-based application system that enables the computer-based test. 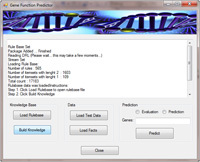 The software consists of three modules: test server, test client and test editor. The system design satisfies requirements of a normal computer-based test system like security (no data lost on power outage), fairness and efficiency. I used the client/server model and TCP/IP protocol for data communication so that the machines of the system can work together without sharing file system over the network to improve the security. A part of this system design was then applied in another Research project (see Research Project). This is one of my first computer science projects in which I wrote a Puzzle game in Assembly. The complexity of this project was comming from handling the interrupts and processing the signals from keybroad and mouse when players interact with the game. My game also had to process game rules and user graphic interface. This game is small but implementing it gave me huge understanding about working mechanism of computers.